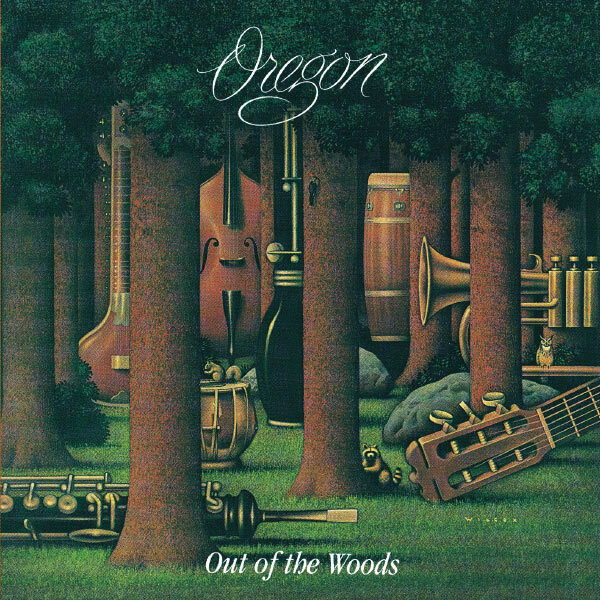 Long before "New Age" and "World Music" became part of the musical-term language, Oregon was making music that would influence (directly or indirectly) those genres. During the early 1970s, the much-maligned fusion movement in jazz was building up steam, and Oregon, in their quiet, understated way, contributed greatly. The band played acoustically--all the players had jazz backgrounds as well as a strong interest in ethnic musics from around the globe. They all played multiple instruments as well. Oregon's music might be described as elegant folk melodies and "Third World" rhythms played by a jazz band with the precision and grace of a classical chamber ensemble. OUT OF THE WOODS was originally released in 1978, but it sounds like it came from a time all its own. "Witchi-Tai-To" (composed by the late Jim Pepper) has a captivating, dreamlike feel, and "Reprise" shows the respect they have for the blues. Once you take a stroll in these WOODS, you'll want to lose yourself in them.